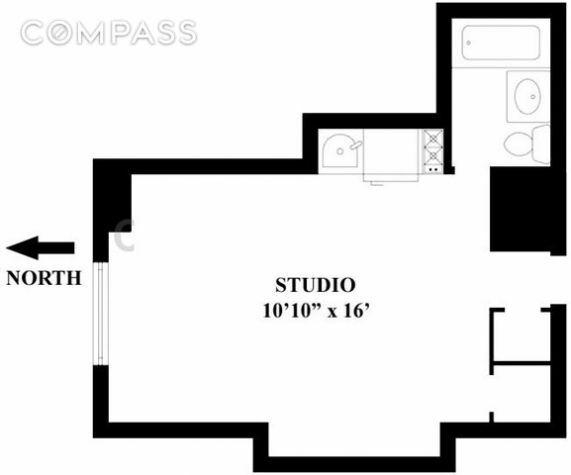 Studio apartment available on or about May 22nd at Tudor Tower. 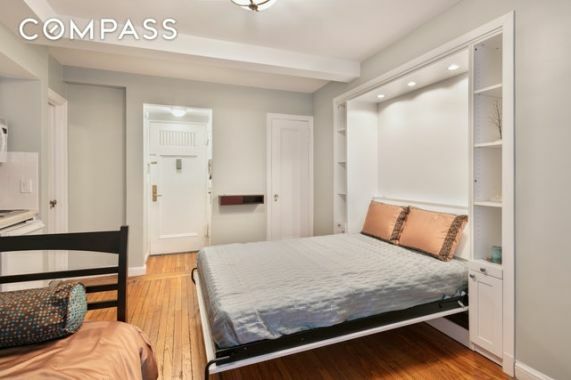 The apartment contains a murphy bed, kitchenette with microwave convection oven & mini fridge, and a renovated bathroom with a bidet and marble tile. The rent includes heat, water, & electricity. Lease term minimum is one year, no pets allowed, guarantors accepted, and basic financial parameters apply. There is a full-time doorman and on-site amenities include a roof deck with stunning Midtown views, laundry room, bike room, and common storage. The apartments ideal setting is around the corner from the United Nations building, with the Midtown office district and vibrant restaurant scene of First and Second Avenues steps away, and nearby Grand Central Station providing rapid transportation anywhere in New York.